or email us at sales@fncuthbert.com. 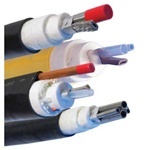 Chromalox SRL and SRM/E self-regulating heat trace cables provide the most versatility in heat trace designs and applications. 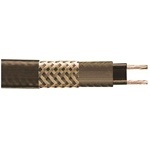 Self-regulating cables are flexible, can be cut-to-length in the field and can be single overlapped without fear of burnout in areas where complex piping and equipment require additional heat trace cable. 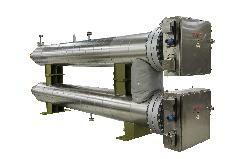 Chromalox Process Heaters are tailored to meet customers’ unique needs. Products are engineered to provide precise process temperature control and built with quality to operate for decades in service. 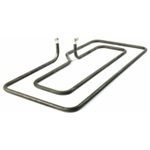 Immersion and Circulation heaters can be adapted to match any heating need with liquid or gas. 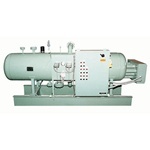 Common applications include, crude oil, acidic solutions, potable water, steam, industrial, hydrocarbons, hydrogen, oxygen, and superheated air. Chromalox Heat Trace Panels are complete control solutions for the most demanding heat trace applications. Our WeatherTRACE and IntelliTRACE lines provide temperature control, monitoring and power management in one package. 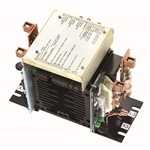 Choose from 1 to 72 circuit systems for either ambient or line sensing applications in ordinary or hazardous locations. 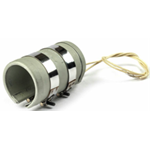 Chromalox Cartridge Heaters are highly compacted to produce excellent heat transfer capabilities and the dielectric and physical strength necessary for long life and outstanding performance. 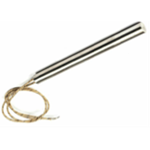 These cartridge heaters are designed for applications where high operating temperatures are required. 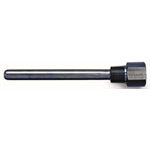 They are available in diameters ranging from 1/8" to 1 ¼". The U Series line of connection kits and accessories, are designed to cover pipe and tank freeze protection and process maintenance in ordinary and hazardous area applications. The kits are for use with SR and CWM type cables. Chromalox leverages its experience from decades of manufacturing custom process heaters for the Power Generation industry to design and build the best fuel gas conditioning systems available. Unlike most fabricators and packagers who utilize purchased parts and basically assemble their systems, Chromalox is completely vertically integrated to provide you with the best quality and performance. 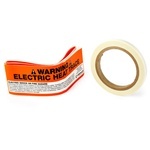 Heating Cable Installation Kits and Accessories including straight or tee splices, power connection boxes, and water-resistant end seal terminations. 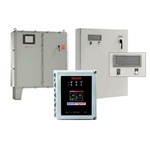 Chromalox SCR Control Panels integrate temperature controllers, over temperature controllers, customer inputs, and Chromalox SCR power control into a complete package. Chromalox High Density Strip Heaters are constructed using our own proprietary refractory cement and are highly compacted for excellent heat transfer. 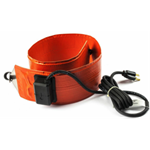 These are primarily used for convection type air heating and clamp on conductive heating. Chromalox Skin Effect Trace Heating Systems are ideal for the freeze protection, temperature maintenance, and heat-up of materials transported by long distance pipelines (up to 16 miles/25 km). 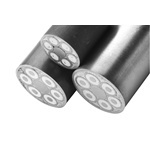 The tubing bundles are typically used to protect viscous materials from freezing, to avoid gas condensation, and to improve employee safety. 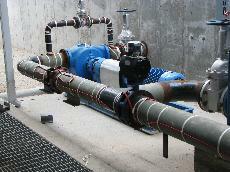 Additionally they maintain process temperatures and protect instrument sampling and impulse lines. 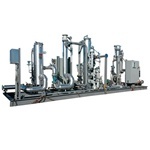 Chromalox leverages its vast experience of manufacturing boilers, vaporizers, and process heaters for water, steam, and other fluids to design and build the best steam superheating systems available. 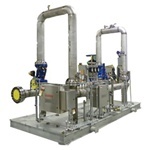 We manufacture all of the major mechanical and electric components of a steam system and perform all skid design and manufacturing in-house. 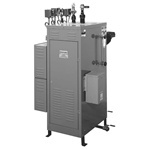 Chromalox hot oil and water systems are self-contained heating and cooling packages that provide direct or indirect process heating to temperatures of 750° F. These systems meet ASME codes and are pre-engineered to include temperature and power controls, expansion tanks, heat exchangers, pumps, valves, gauges, and all necessary piping. 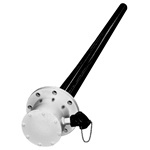 Drum Heaters are available in a variety of sizes to fit 5, 15, 30, and 55 gallon plastic and metal drum heaters. They are chemical and moisture resistant and extremely rugged. Installation onto standard drum heaters is quick and easy. Chromalox horizontal electric vaporizers are designed for use with Dowtherm, Therminol, and other organic fluids to transfer heat at high temperatures and low pressures. 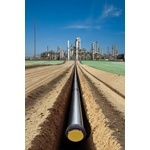 They are pre-engineered, pre-wired, and pre-piped packages designed for flexible, dependable, and efficient operation. All units are ASME-certified to 150 psi at 750°F with 300 lb construction throughout. 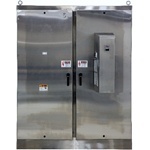 Chromalox Load banks are used to provide precise energy control for loading dissipation needs. 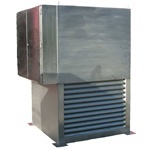 Units feature selectable control to 1kW and provide such features as Stainless Steel construction, enclosed heating elements, NEMA 3R outdoor protection, and industrial motor/fan. 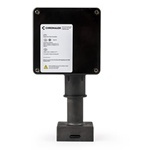 Many options are available by request, such as dual voltage, multifunction digital readout, camlok connectors, or remote control. Applications include diesel generator testing, braking resistor for inverter drive, base loading, battery discharge, or uninterruptible power supply (UPS) testing. Single channel controllers combine ease of use and accurate operation for critical temperature and process applications. Ideal for generating steam and heating gases and liquids in pressure vessels and tanks, flanged immersion heaters are hairpin-bent tubular elements welded or brazed into a flange and provided with electrical enclosures. 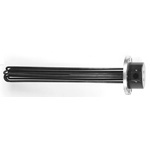 Chromalox flanged immersion heaters are available in a wide selection of flange sizes and with a variety of electrical enclosures. 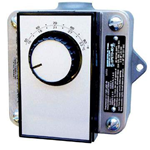 Most units are UL-listed and CSA-certified or can have ATEX certification. 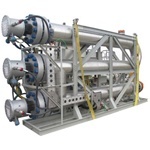 Chromalox Tank Heating Systems are uniquely designed to heat large storage tanks located above or below ground and containing highly viscous fluids or heat sensitive materials. 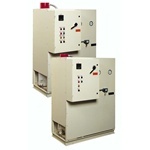 Chromalox offers uniquely designed electric heating systems for large storage tanks. 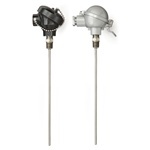 Industrial thermocouples are provided in a variety of styles and materials to meet rugged industrial applications. 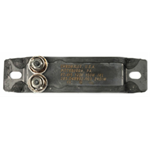 A wide selection of sensor types, connection heads, lead wire termination options and accessories are available. 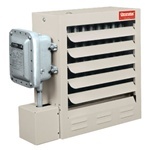 Chromalox Explosion Proof Unit Heaters are fan forced electric heaters designed for use in hazardous location environments. NEC defines a hazardous location as an area where a potential hazard (e.g., a fire, an explosion, etc.) may exist under normal or abnormal conditions because of the presence of flammable gases or vapors, combustible dusts or ignitable fibers or flyings. 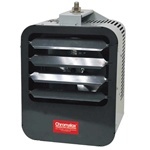 Chromalox Industrial Unit Heaters include both fixed and portable designs and incorporate a powerful fan to help circulate the warm air produced by the heating elements. Adding a fan creates air movement that allows for a design that is more compact than an equivalent convection heater since rapidly moving air removes the heat from the element surface quickly. 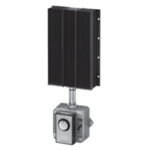 Our heaters are designed to withstand dusty, dirty environments, and to hold up against typical abuse seen in industrial environments. Chromalox provides a full complement of temperature sensor accessories to support your specific sensor application needs. 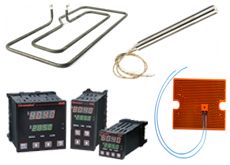 From standard and mini Thermocouple and RTD’s panel jacks and connectors to Thermocouple and RTD Extension Wire. 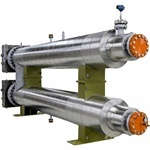 Chromalox DirectConnect Process Heaters utilizing medium voltage technology drastically reduce installation, operation, and maintenance costs for large process heating demands. 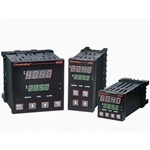 Medium voltage systems are engineered to provide precise process temperature control and are designed to operate for many years in service at voltages up to 7200 V.
Chromalox model CXH-XD is a modified version of the extremely successful CXH-A/B models. 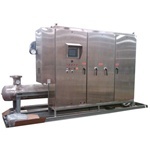 Features of the CXH-XD include a corrosion resistant coated heat exchanger, optional 316SST and epoxy coated frames, epoxy coated IP66 control enclosure, epoxy coated IP66 motor and several new accessories.